In 2000, Louis Vuitton sent Supreme a cease and desist letter after the streetwear brand released a skate deck incorporating its logo into LV’s iconic monogram. So, it was all the more impressive that, in early January, it was announced the Parisian fashion house, under the leadership of lead menswear designer Kim Jones, who’s long been a fan of streetwear, was working with Supreme on an official collaboration. The collection—a monogrammed/logo-filled line of box logo T-shirts and hoodies, skate decks, denim truckers, leather trunks, leather accessories, and more—garnered an insane amount of attention both from Supreme fanatics and people who just found out about streetwear this year. Pieces were being resold for tens of thousands of dollars on Grailed and eBay. Some rich kid in Dubai even covered the Ferrari he can’t drive with the same red Supreme x LV monogram. 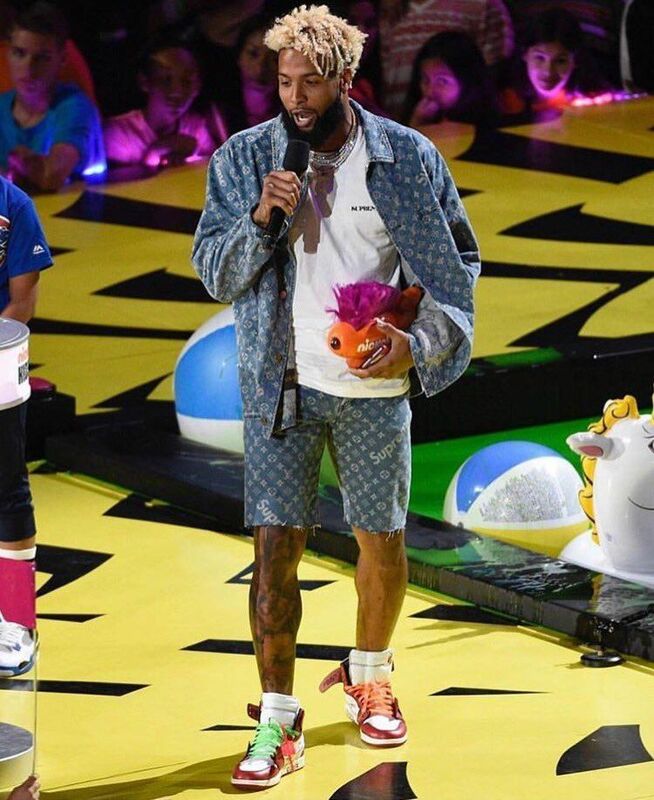 2 Chainz, Odell Beckham Jr. and more unexpected celeb fans, like Beyonce and Madonna, flooded our timelines with Supreme x LV ’fit pics.